Hi there! My name is Josie, I'm 25 and I split my time between South East London and Brighton. I don't like tea, cats or cystic fibrosis (CF) but I do like shoes. A lot. If you'd like to get in touch for anything my email is whatjosiedidnext@gmail.com - I'd love to hear from you! Oh, and just a quick disclaimer...any products sent for review will have a 'c/o' or * next to the item and I always add a disclaimer at the end of sponsored posts. All links, whether it's for paid content or a product review will be NO-FOLLOW. 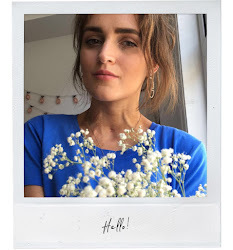 I also blog about my chronic illness, and am trying to branch out and post more style, beauty and lifestyle posts - although my illness controls my every move and decision, it still doesn't define me and there's much more to me than being an 'ill person'. As you'll know illness can take over your life so sometimes it's difficult to blog about anything but it, especially when you want to raise awareness, but your blog has inspired me to talk about different things that interest me as an individual, sans illness! God bless you Josie, and I hope 2015 sees your hopes and dreams come true. I'm so so happy I stumbled across your blog! You're so genuine and optimistic and I love how you can tell from looking at just a couple of your posts. Please keep blogging!